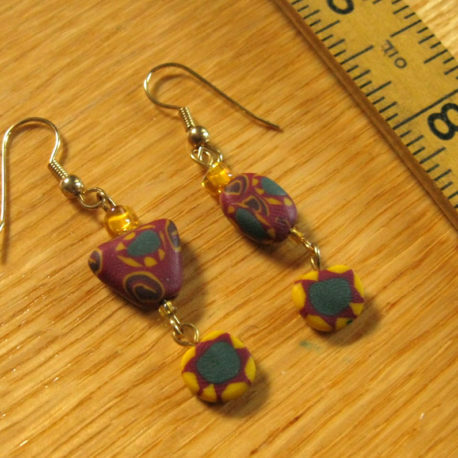 The focal beads in these earrings are made from polymer clay in dark green, gold, dark red, and brown, in starbursts and swirls. 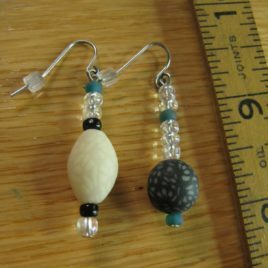 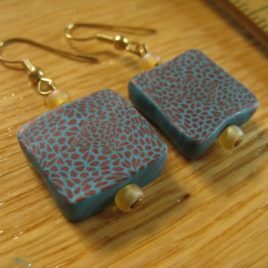 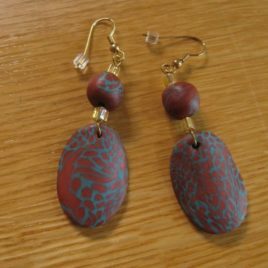 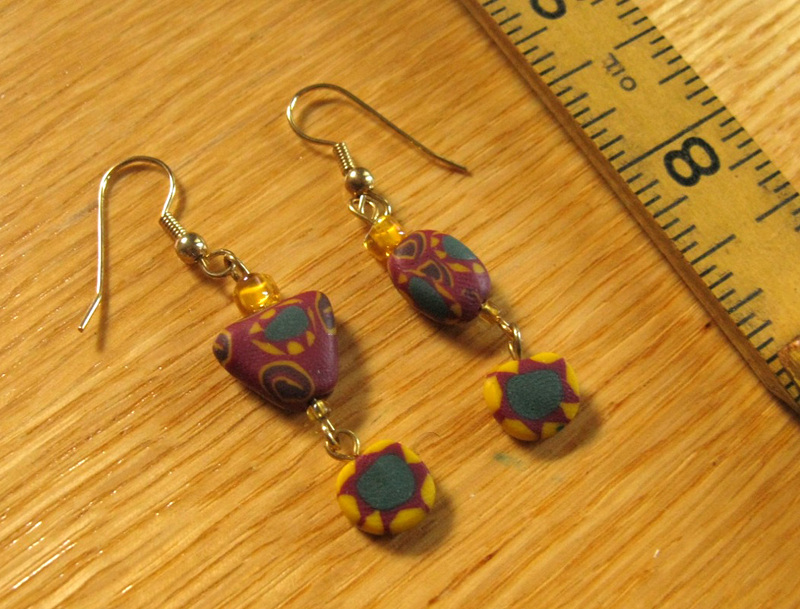 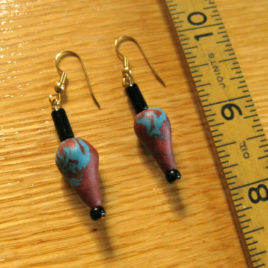 The polymer clay beads in these earrings are accented with glass beads in translucent gold. 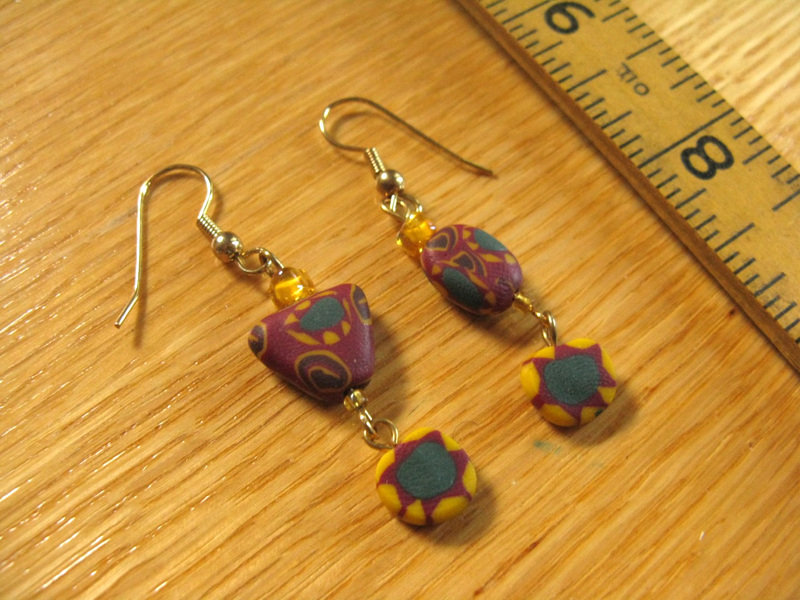 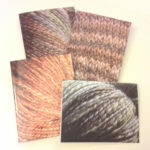 These earrings are approximately 2″ long and 0.5″ wide; they are quite lightweight and would be comfortable to wear all day. 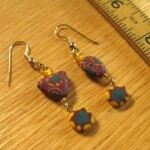 The Harvest necklace would coordinate nicely with these earrings.